five timesand the same number of top 5 and top 10 results. This would be the last time he would pair up with a single driver for an entire season. In 2006 he was hired by Chip Ganassi leading Casey Mears and Juan Pablo Montoya part time. Mears would claim a win at Chicago. The following season Parrott would lead a group of seven drivers driving for Ganassi completing the full season. Montoya would win at the road course in Mexico City; while Reed Sorenson would claim a win at Gateway Speedway near St. Louis. This would be the final win for Parrott. 2008 Parrott shared time leading Bryan Clauson and Dario Franchitti. Both had a single Top 5 finish that season. Robby Benton hired Parrott to lead the efforts of John Wes Townley for 2009. The season was a disappointment as Townley was only able to manage a best finish of 16th. Rusty Wallace then hired Parrott for 2010 to work with his driver, Brendan Gaughan. Gaughan posted three Top 5 finishes with a best finish of third. He also claimed seven Top 10's and finished 11th in points. 2011 saw Parrott again change teams as he went to work for Johnny Davis who supplied cars for Mike Wallace. They paired together for 13 races and posted one Top 10. He later went to work for owner Mark Beaver who fielded cars for TJ Bell. In six races they had a best finish of 23rd. Tommy Baldwin Racing then hired Brad to lead his field of drivers in 2012. Ryan Blaney drove the most races; and had a best finish of seventh (twice). None of the other four drivers managed to post a finish inside the Top 10 in the groups 13 starts. Parrott worked with owner / driver Scott Lagasse for three races in 2013. They had a best finish of 20th. In January of 2014 it was announced that Parrott had signed with Mason Mitchell Motorsports (MMM) to be the crew chief of driver Mason Mitchell (above) and the #98 Ford Fusion for the 2014 ARCA Racing Series; (but I never found any information as to Parrott actually acted as crew chief that season). 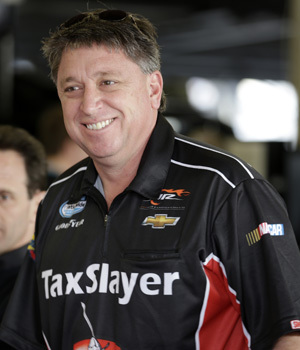 Parrott's last start as a crew chief came in 2015 in the NASCAR Truck Series as he worked with Timothy Peters one event. Peters ran great, even leading five laps and running up front all day. On lap 137 of the 200 lap race; he cut a tire and crashed out finishing 20th. For his Career Parrott won one Cup series event (with Dale Jarrett) and added 18 Xfinity Series wins. Ruttman. 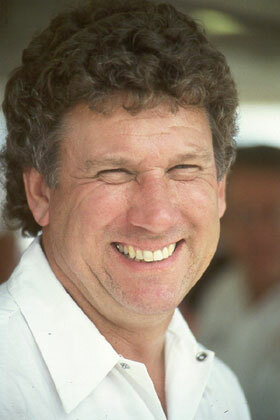 In 1984, Parrott was hired by Mike Curb to be Richard Petty's crew chief. Parrott and Petty won at Dover, and was chief for Petty's 200th career victory in the 1984 Firecracker 400 at Daytona International Speedway. From 1985-1987 Parrott was hired by owner Eric Freedlander to lead his driver Tommy Ellis who raced part time. They had little success as they were only able to post four Top 10 finishes over that span. In 1985 Parrott joined Derrick Cope of Bob Whitcomb Racing's team, and helped him win the 1990 Daytona 500. In 1992 Parrott led Ted Musgrave for 20 events for owner Ray Dewitt. They only posted one Top 5. In 1993, Parrott was reunited with Wallace at Penske Racing, winning and amazing 10 races together their first season. They also has 19 Top 5’s but finished second in the points. 1994 saw them win eight events; but falling to third in the points that season. In 1995 he joined Diamond Ridge Motorsports to work with Steve Grissom. However, Parrott left the team citing business disagreements with owner Gary Bechtel. In 1996, he joined Jeff Burton's crew, and they had six Top 5 finishes. In 1997 he helped Burton win the inaugural race at Texas Motor Speedway. Later that season, Parrott was fined $20,000 by NASCAR for improperly mounted roof flaps prior to the Winston 500 at Talladega. They went on to win three races that season and finish fourth in points. 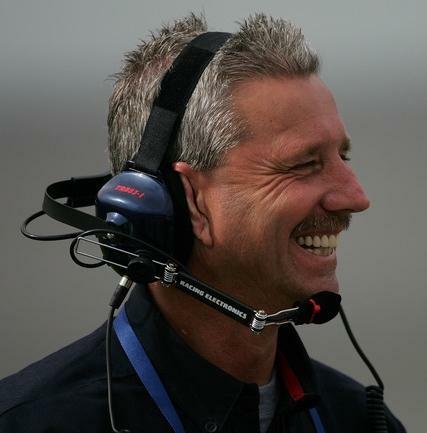 In 1998, he became the team manager for Mark Martin's Roush Racing team. At California Speedway that year, Parrott tripped over cords in the pit box, fracturing his ribs, but still celebrated Martin's victory in the 1998 California 500. He remained with the team until his retirement in 2001 after 34 years of service. For his career Parrott collected 49 wins. He had wins in World 600 (1978, 1979); and the Daytona 500 (1990). His drivers finished twice in the CUP points (1979 & 1993). the title. 2000 saw them again claim the Harley Earl trophy for again winning the Daytona; but fall to fourth in points. Parrott remained Jarrett's crew chief through 2002. They won a total of six more times but didn’t finish better than fifth in the points. After 2002, Parrott worked for periods with several Yates drivers including Jarrett, Elliott Sadler, Travis Kvapil, and David Gilliland. In 2006, Parrot was briefly crew chief for Bobby Labonte at Petty Enterprises before returning to Yates to work with Gilliland. 2007 saw him lead Gilliland full time; while in 2008 he called the shots for Kvapil. After the 2008 season, Parrott was moved to former Joe Gibbs Racing satellite Hall of Fame Racing, which would begin operating out the Yates shop in 2009. The driver was Bobby Labonte, but once again Parrott and Labonte failed to make it through a full season, while Yates Racing folded following 2009. He was working the speedway program in the Research and Development department of Roush Fenway Racing prior to joining Kenseth on the #17 in 2010. After a poor performance at the 2010 Daytona 500, Parrott replaced Drew Blickensderfer as crew chief for the rest of the season. Midway through the season however Parrott was released; he joined Richard Petty Motorsports starting at Chicagoland Speedway as crew chief for Elliott Sadler's #19. He moved to the #9 team and driver Marcos Ambrose to start the 2011 season; two-thirds through the 2012 season, RPM's teams switched crew chiefs with Parrott going to the #43 of Aric Almirola, where he remained for 2013. On October 17, 2013, it was announced that Parrott had been indefinitely suspended due to failing to meet NASCAR's substance abuse policy. 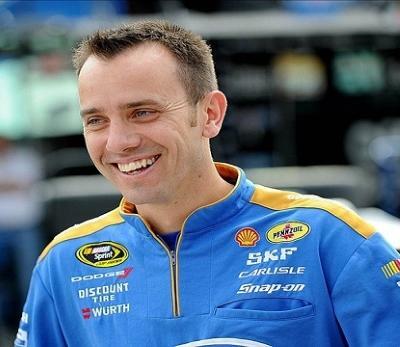 He was released by Richard Petty Motorsports on October 21. Parrott participated in NASCAR's Road to Recovery program for substance abuse violators, and the suspended veteran crew chief vowed to return to the sport's top level. Parrott was reinstated to NASCAR in January 2014, less than three months after being suspended. 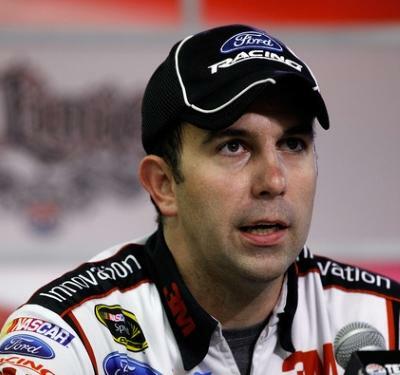 He was hired by Tommy Baldwin Racing to lead Reed Sorenson. The pair was only able to post a best finish of 14th and only had two Top 20 finishes. On December 13, 2014, it was announced that Parrott would be the Competition Director for Richard Childress Racing in the NASCAR Xfinity Series. 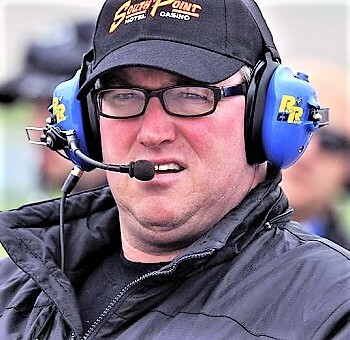 Parrott was also named the crew chief on RCR's part-time #33 Cup Series car, working nine races for drivers Ty Dillon, Michael Annett, and Brian Scott. Parrott also substituted for Luke Lambert on the RCR #31 Cup car of Ryan Newman for six races, while Lambert served a suspension. In 2016 Parrott went to work for Levine Family Racing with driver Michael McDowell. In seven starts that season the did post one Top 10 finish in the #95 K-Love car. 2017 saw them post a best finish of fourth; the only Top 5 of that year. In 2018 Parrott is working with owner Jay Robinson as he fields a variety of drivers in his #55 Premium Motorsports machines. Robinson fielded a team that used seven different drivers with Parrott in charge. Jeffery Earnhardt posted a best of eleventh in the July Daytona race. Only one of race saw a finish inside the Top 30 as this was mostly a start and park effort. To date Parrott has 31 race wins, 26 of those with Dale Jarrett, three with Elliott Sadler, and two with Marcus Ambrose. Major wins include the Daytona 500 (1996 & 2000); Coke 600 (1996); Brickyard 400 (1996 & 2000); He and Jarrett paired for seven wins in 1997, and the Cup Championship in 1999. From 1996-2001 Parrott led is drivers to Top 5 finishes in the points. again come at Watkins Glen and this time he would get the win. Nemechek ran 14 races and would also win one race: (Talladega). 2001 was much like the 2000 season. Fellows once again won at Watkins Glen while Nemechek won on two occasions. The following season Pattie worked with Nemechek and split time between the Xfinity Series and the Cup Series. They ran 14 races in the Xfinity series and visited victory circle once. In the Cup series Nemechek ran 15 times and had a best finish of second on two occasions. In 2003, Pattie started working for NEMCO Motorsports as the team manager. 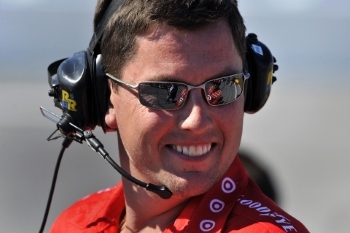 In 2005, Chip Ganassi Racing recruited Pattie as the crew chief for the Reed Sorenson at the Xfinity Series. Sorenson won twice that year and had 11 Top 5 finishes. They finished fourth in points. 2006 the pair remained together but had a severe drop off in performance as they only had five Top 5 finishes. In 2007, Ganassi had Pattie work with eight different drivers, seeing Reed Sorenson drive the most (11 races). They only had two Top 10 finishes. Scott Pruett would post one Top 5 finish that year while David Stremme would finish in the Top 5 twice. That would be the highlights for the season. In May 2008, he started working as Juan Montoya's crew chief. He led Montoya for four seasons and during that span posted one win; and 16 Top 5 finishes. In December 2011, he was named as the crew chief for Clint Bowyer at Michael Waltrip Racing; and remained there through 2015. 2012 saw Bowyer win on three occasions post 10 Top 5’s; 23 Top 10’s and finish second in the points chase. His third win of the season would come at Charlotte on October 13th. Bowyer would not win again until March 26, 2018. Pattie and Bowyer remained together through the middle of the 2015 season, before going to work for owner Bob Jenkins and driver David Ragan. In 2016, Pattie was hired by Jack Roush to work with Greg Biffle; the pair posted only one Top 5 finish; and Biffle was released. He was replaced by Ricky Stenhouse. The duo excelled at the restrictor plate tracks of Daytona and Talladega; winning a race at both tracks. 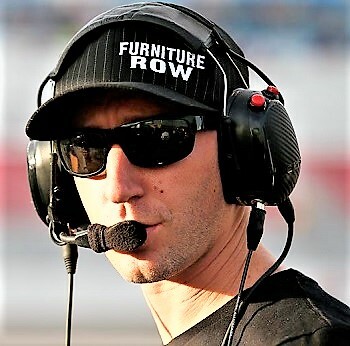 2018 was the third season he had been employed as a crew chief by Roush Fenway Racing. This was the second year to lead driver Ricky Stenhouse. Although they got two wins in 2017, the rest of the season was a disappointment. 2018 saw a worse season as they wasn't able to get any wins; and had one tess top five and four less top tens than the previous year. They did not make the play offs and finished 18th in points. It appears that the two of them will remain together for 2019. So far Pattie has led his drivers to victory lane six times. race team. In 2015, Pearn and driver Martin Truex Jr. won the Axalta "We Paint Winners" 400 at Pocono Raceway, and Pearn became the first Canadian crew chief to win a Cup race. 2016 saw the pair get off to a good start by finishing second in the Daytona 500. Their first win of the season came at Charlotte in the Coke 600. Their next win was also a major event as they won the Southern 500. They won two more races before the season ended; but struggled in the second stage of the Chase and failed to advance and ended up 11th in points. 2017 would be a stand out season for Truex and Pearn. They dominated the 1 1/2 mile tracks winning seven of the 12 races ran on them; and added a win at Watkins Glen. They averaged a 3.5 finish on 1 1/2 mile tracks. He won the season ending race at Homestead; but unfortunately team owner Barry Visser had suffered heart problems just before the season ended and missed the final couple races and also the awards Banquet. Cole Pern almost led Martin Truex to back to back Championships. With Pern since 2015, Truex poste 17 wins; four of those coming in 2018. This pairing was part of 'the big three' and Truex Kyle Busch and Kevin Harvick grabbed 20 wins in the season's 36 races. Truex easily advance through each round of the Chase and found himself with a shot to defend his Championship at Homestead. He looked to be on his way to the win when a late race yellow shuffled the field and Joey Logano got a shot to work on his car. Logano got by Truex with 12 laps to go and grabbed the CHampionship; leaving Truex one spot short. At the end of the season, Furniture Row owner Barney Visser decided that without sponsorship for 2019 he was going to shut down the team. Joe Gibbs Racing hired Martin Truex to drive the #19 car in 2019 and Cole Pern will also go along to continue to be Truex's crew chief. 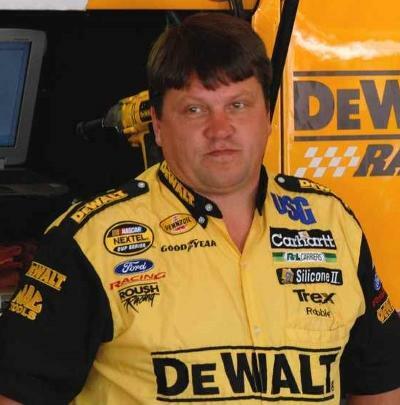 would win once in 2001: Pemberton’s final season as crew chief. During his tenure with Wallace they won 15 races. For his career he led his drivers to 26 race wins and finished in the top ten in points 12 of his last 13 seasons. ; second in 1990 with Mark Martin. He returned to Petty to serve as general manager in 2002. 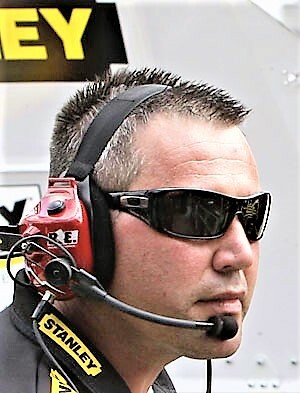 In 2004 Pemberton moved to assume the position as a NASCAR race official, being named the vice president for competition of NASCAR. 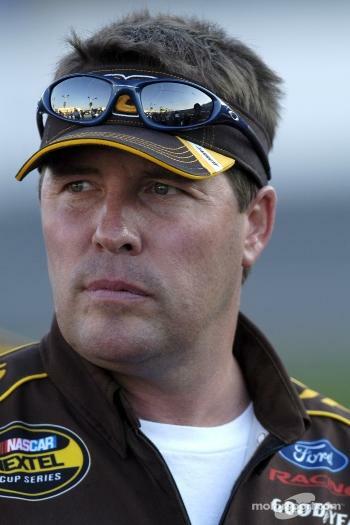 Pemberton gained notoriety before and during the 2007 Daytona 500, in particular the 2007 NASCAR Gatorade Duel scandal, when he suspended six crew chiefs for various infractions, and also threw out the director of competition for Michael Waltrip Racing's new team for using an illegal fuel additive during qualifying. Pemberton also penalized the team 100 Cup Series driver and owner points, one of the most severe point penalties in the modern history of NASCAR's top level of racing. His brother Ryan Pemberton was Mark Martin's crew chief in 2007. Martin and Kevin Harvick were battling for the win on the final lap of the 2007 Daytona 500. The race ended under caution flag when a big wreck happened on that final lap. Robin Pemberton determined the exact moment that the caution flag was displayed, which resulted in Harvick being declared the winner and Martin second by just a few inches. At the end of 2015 NASCAR announced that senior vice president of competition Robin Pemberton will leave the organization at the end of the season. Before going to work for NASCAR, Pemberton spent 499 races as a crew chief in NASCAR’s top division, calling the shots for drivers Rusty Wallace, Mark Martin, Bobby Allison and Kyle Petty, among others, over a 17-year career that stretched from 1985-2001. Pemberton’s drivers won 23 races, with Martin’s second-place points finish to Dale Earnhardt in 1990 being Pemberton’s best as a crew chief. 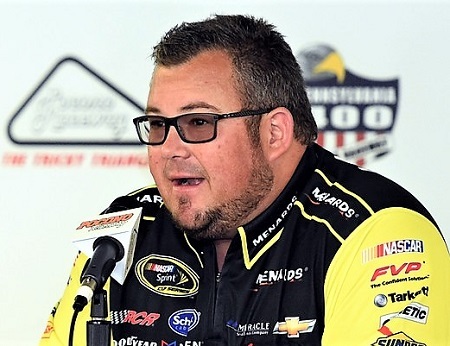 NASCAR vice chairman stated, “NASCAR has seen a great number of technical and safety advancements during Pemberton’s tenure with the sanctioning body. Against the backdrop of the massive NASCAR Research & Development Center, Pemberton’s Competition teams overhauled the inspection and rules process and procedures for all vehicles racing in the national series. He oversaw the transitions of NASCAR to Electronic Fuel Injection (EFI) and to race fuels with blended Sunoco E15”. Scott Miller was tabbed as Pemberton’s replacement. Miller most recently served as executive vice president of competition at Michael Waltrip Racing. 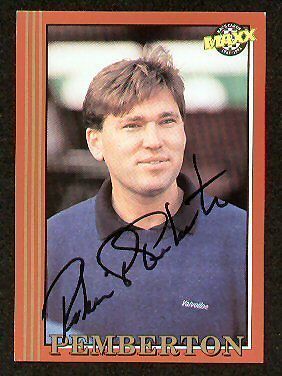 There he was responsible for managing all areas of competition. During his four-year tenure, MWR teams qualified for the Chase for the Sprint Cup in 2012, 2013 and 2015. Top 10 finishes. 2003 would see Pemberton land at a variety of locations. He started the season working for owner Nelson Bowers and his driver Jerry Nadeau. They finished fourth at Texas; after 10 races he worked with Nelson’s driver Jason Keller for one event. Then he worked with driver Mike Wallace for eight events. Bowers then paired Pemberton with driver Mike Skinner for the next 11 races. 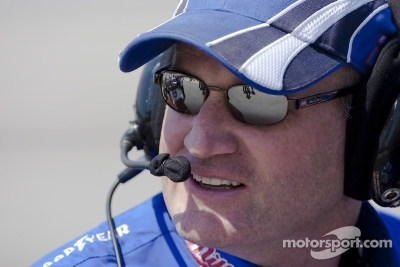 The final four races of 2003, Pemberton would end the season at Hendrick Motorsports with Joe Nemechek. Nemechek would be hired by Bowers for the 2004 season and Pemberton would go with him. The duo would be paired together for three seasons there. Nemechek would win that season and it would be his final Cup win. The following season the pair only managed two Top 5 finishes and the next year was even worse as they only had two Top 10’s. 2007 saw Pemberton leading Mark Martin who drove for owner Bobby Ginn. By mid-season Ginn Racing would fold and be bought out by Dale Earnhardt Inc. Over that season Pemberton led drivers Martin, Aric Almirola and Regan Smith. Martin would be the only driver to post a Top 10 finish. Pemberton moved to Michael Waltrip Racing (MWR) in 2008 and led the efforts of David Reutimann. They posted four Top 10 finishes. Pemberton left MWR in 2009 to go to work for owner Dietrich Mateschitz. His driver was Brian Vickers. Pemberton and Vickers won at Michigan that season and the posted four Top 5 finishes and finished 12th in the points. The following season Pemberton was paired with a trio of drivers including Vickers, Scott Speed and Casey Mears. The trio only managed to post four Top 10 finishes. In 2011 Pemberton again paired up with Vickers full time, and the could only manage to get three Top 5 finishes in a disappointing season. In 2012 Pemberton left Mateschitz team to go to work for Tommy Baldwin. He was put with Dave Blaney; but another disappointing season ensued as they could not claim a result inside the Top 10. This would be Pemberton's final season as a Cup crew chief. Pemberton led Dale Earnhardt Jr for three races in 2013 in the Xfinity series, and they finished inside the Top 5 in all three events. His performance earned him a full time job with JR Motorsports as head wrench for Regan Smith. They claimed one win that season and just missed winning the Xfinity Series Championship finishing second to Chase Elliott. In 2014 he was promoted to “Director of Competition” at JR Motorsports. Since he became Director of Competition, combining that role with that of crew chief for Regan Smith in 2014, JR Motorsports drivers have won 20 races. That’s roughly two-thirds of the company’s total of 29. 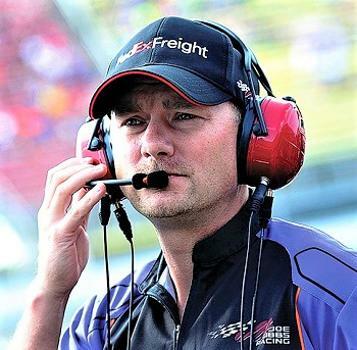 He in is charge of operations for all three of JR Motorsports cars. He has two wins in the Cup series; one with Joe Nemechek and one with Brian Vickers. He had three wins in the Xfinity series. ANDY PETREE - 8/15/1958 - After racing for years at local short track (most notably Hickory Motor Speedway), Petree became part owner of the #32 Xfinity Series car for Dale Jarrett. By the age of 28, Petree was already a NASCAR Cup crew chief on the Leo Jackson racing team. He started out leading driver Phil Parsons. The two posted a win, seven top fives, and 22 top tens in just two seasons. He was then switched over to lead Harry Gant; still with Leo and Richard Jackson. From 1989-1992 Gant and Petree paired to win nine events including the Southern 500; and finished fourth in points in 1991-1992. In 1993 Petree moved to Richard Childress Racing and hooked up with Cup champion Dale Earnhardt Sr. In just three years the duo won 15 races, including the Coke 600; and Brick Yard 400; and two Cup championships (1993-1994). He led drivers Robert Pressley (1996) and finished out his crew chief career with Ken Schrader in 1997-1998. Petree formed his own team in 1997 and tabbed Schrader to be the driver. 1999 was a learning year for Andy Petree Racing (APR). The struggles of adding a second car may have shown. Schrader struggled with only six top-10s, en route to a 15th place in points. Schrader's 1999 season compelled him to leave APR. However, Petree was quick in signing Joe Nemechek and sponsor Oakwood Homes, after Skoal announced it would not be on the #33 for the first time in 21 years. The 2000 season was complete opposite for Petree's drivers. Nemechek was solid as he won 1 pole, and secured three top-5s and nine top-10s. Petree fielded a full or part time team until 2003 with various drivers. Those included Joe Nemechek, Geoff Bodine, Bobby Hamilton, Greg Biffle, Paul Menard and others. Still searching for victory in 2001, Petree kept Nemechek in the #33 and hired Bobby Hamilton to drive the #55. It would turn out to be Petree's best season yet. The ninth race of the year, at Talladega Superspeedway, featured an amazing battle. After multiple lead changes, Hamilton took the lead as he took the white flag and held off Tony Stewart to win Petree's first career race. Hamilton would earn six more top-10s and 18th in the final 2001 rundown. Joe Nemechek also won at Rockingham. For 2002, Petree still wished to run the #33 along with Hamilton. Mike Wallace would drive the car for four races. However, with a best finish of 21st (Daytona 500) and its most memorable moment being at Talladega, (starting the big wreck) the #33 team's glory days were over. It would be up to Hamilton and the #55 team. However, just as the #33 quit for good, Hamilton was injured. Greg Biffle and Ron Hornaday took over. Hamilton came back and promptly announced he was leaving to form his own his truck team. Petree was backed in a corner. By February 2003, his Cup team was done. With no sponsor to be found, Christian Fittipaldi's run in the #33 Monaco Chevy in the Daytona 500 appeared to be the final race. However, Petree wasn't quite done. His longtime friend, John Menard convinced him to look at John's son, Paul Menard, who impressed Petree and he signed him to a contract quickly. Paul made his debut in the #55 Chevrolet at Nashville Superspeedway, Petree's first career Busch race as an owner. It was a productive race, as Paul finished 12th. After finishing 14th at the next race at Kentucky Speedway, Petree allowed Menard to make his Cup debut at Watkins Glen International (after Paul had DNQd at Infineon). That race at the Glen would be Petree's last Cup race. The next week, Paul grabbed his first top-10 at IRP. Petree, who had made some Craftsman Truck Series starts, decided to put Paul in some Truck races. Menard drove the #33 Menards truck in 5 races and finished with one top-10, an 8th place at Kansas. Petree signed Menard to a full Xfinity Series schedule for 2004, hoping to get Menard ready for a return to NASCAR Cup in 2006. However, Menard had other plans. Halfway through the year, Menard signed with Dale Earnhardt, Inc., leaving Petree without at driver and without a sponsor. His last Xfinity race would be at Chicago, which driver Clint Bowyer drove. Petree was also a NASCAR driver. In 1988, Petree joined the G & G Racing team for 4 races. He finished one event inside the Top 20. While working for Dale Earnhardt, Earnhardt allowed Petree to drive his Xfinity car at Martinsville (1994). After starting 27th, Petree bettered his career best with a 16th. It would be his final Xfinity Series start. While his NASCAR Cup team was falling apart, Petree tried to get some momentum going in the Craftsman Truck Series. Petree made his debut in that series at Martinsville in 2002. Despite an impressive third place qualifying effort, Petree crashed and finished in 31st. However, the race at IRP later that year was better. He finished 12th. In 2003, Petree made four Truck starts and finished in the top-20 in each; with a career best finish of 10th. Petree's final start of his NASCAR career came at his best track: Martinsville in 2004. Petree led his driver in 392 races, and the accumulated 25 wins. Most notable was: Southern 500 (1991); Coke 600 (1993); and Brickyard 400 (1995). He also posted two wins in the Xfinity series in 1990 with driver Harry Gant. MAURICE PETTY - 3/27/1939 - was a NASCAR crew chief for only 14 races in 1970. Pete Hamilton wheeled the Petty Enterprises machine while being headed up by Maurice. In those 14 races the duo teamed up to win three events including the Daytona 500. They posted NINE top five finishes. Petty is the son of Lee Petty, the brother of Richard Petty. Maurice is better known for being the chief engine builder at Petty Enterprises and the lead mechanic and chief engine builder for his brother Richard. Richard is known as the "King of NASCAR," and Maurice is known as the "Chief". He built the motors that helped Richard Petty win his record 200 victories, and 7 Cup Series championships (1964, '67, '71, '72, '74, '75, '79). Richard Petty had 7 Daytona 500 victories with his engines. Lee Petty, Buddy Baker, Jim Paschal and Pete Hamilton also raced and won with his engines (over 250 wins total). Maurice raced for the organization in 26 competitions from 1960 to 1964. As a driver, his best finish was third place at the Piedmont Interstate Fairgrounds in Spartanburg, South Carolina in 1961.
races left in the season. The first part of the season, Biffle and chief Greg Erwin were only able to manage three Top 10 finishes. Puccia led Biffle to five Top 10 finishes and many results in the low teens. They pair would stay together full time for the next four seasons. The pair worked together to get Puccia his first Cup win in 2012 at Texas Speedway. They also grabbed a second win that season at Michigan. In 2013 they again won at Michigan; and in both 2012-2013 he led Biffle to make the Chase and finish in the top ten both years. 2014 and 2015 saw they duo struggle as they went win-less both season and Biffle could only manage a best finish of 14th in points. 2016 saw Biffle released and Trevor Bayne was brought in to fill the seat of the #6 Ford. Bayne struggled and only posted two Top 5 finishes both seasons; and finished 22nd in the points both years. Matt Puccia remained with Bayne in 2018. Like RCR, the Jack Roush team continued to struggle finding speed and performance. Hence good finishes were hard to come by. At the mid point of the season, Roush brought on Matt Kenseth to drive Bayne's car to see if he could offer some insight as to how to make the team better. Kenseth posted nine top 20 finished in his 14 starts and was seventh and sixth in the final two races of the year. Ryan Newman has been brought in to wheel the #6 car in 2019 as Bayne was let go. Scott Graves will be Newman's crew chief. Joe Gibbs Racing and work with driver JJ Yeley. They posted 13 Top 5 finishes over the two year span. He posted second place finishes at Memphis and Kentucky. 2007 saw Gibbs hire several drivers for Ratcliff to over see that season. Brad Coleman started the most races (17) and posted three Top 5 finishes. Aric Almirola and Tony Stewart also added one Top 5 finish each. In 2008, he was the crew chief for Kyle Busch, Joey Logano and Denny Hamlin, all of which shared driving duties of the #18 car. He was able to win five races total during the season, four with Busch and one with Hamlin. During 2009, Kyle Busch became the full time driver of the 18. Ratcliff and Busch won the championship, piling up an amazing eight wins. 2010 saw the duo remain together and this season was better than the year before. Busch grabbed 13 wins and 22 Top 5’s but only ran 29 of the 33 races; landing him in third place in the points. In 2011 Busch again visited victory lane eight times while only running 20 races. He also finished with 17 Top 5’s in those 20 races. 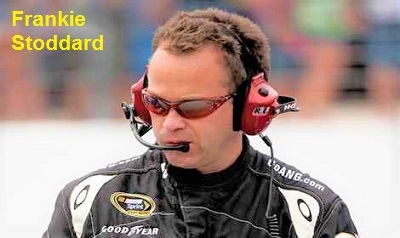 In 2012, after seven years being the crew chief for the No. 18 Xfinity Series car, Ratcliff was announced to replace Greg Zipadelli as the crew chief of the No. 20 Joe Gibbs Racing Cup Series car, driven by Joey Logano. The pair managed to win a rain shorted race at Pocono with a great call from Ratcliff. 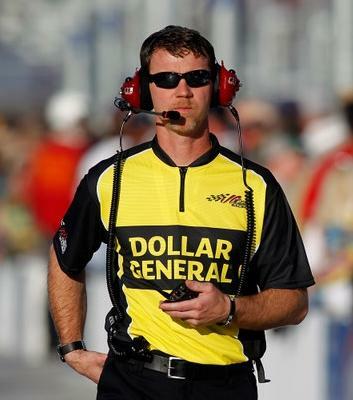 In 2013, Ratcliff served as crew chief for Matt Kenseth, but was suspended for one race after the #20 engine failed post race inspection following Kenseth's victory in the STP 400. The duo won six races in 2013, and was just edged out by Jimmy Johnson for the Cup Championship. 2014 saw Ratcliff and Kenseth remain together; but they didn’t claim any wins. Ratcliff remained with Kenseth at Joe Gibbs Racing through 2017. Kenseth won five times in 2015; but missed two races that season and he could only finish seventh in points. 2016 saw them win twice more; and Kenseth won again in the next to last race of in 2017. Gibbs had announced in the middle of the 2017 season that Kenseth was going to be released at the end of that season. So this would be Kenseth’s final win. At the end of that season Ratcliff was left with no one to lead. 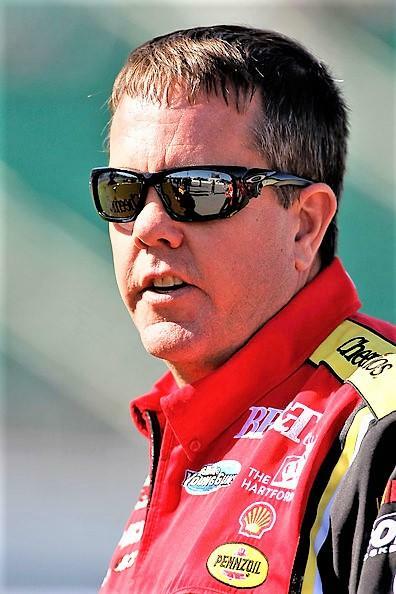 In 2018 Ratcliff is currently working with driver Christopher Bell for Gibbs in the Xfinity Series. At this points in his career Ratcliff has 36 Xfinity Series wins; and also has 15 Cup wins; all but one with Kenseth. format; and was brought about because of the way Kenseth won the Championship. Not racing to win every week; but rather to post consistent Top 5 finishes. The pair was together driving for Roush from 2000 through 2007. Kenseth won twice in 2004; once in 2005; four times in 2006 and twice in 2007. Near the end of the 2007 season, Reiser was named the general manager for all five of Roush Fenway Racing's Cup teams. His last race as crew chief was the Ford 400 at Homestead-Miami Speedway in Florida, which became the second victory of the season for driver Matt Kenseth. 2008 was the first time Kenseth ever had a different chief than Reiser. The duo won 17 races together, including the Coke 600 in 2000. As mentioned they won the Cup Championship in 2003; and finished in the top ten from 2002-2007. In 2008 Reiser headed up the efforts of Carl Edwards as he filled in for full time Crew Chief Bob Osbourne and led Edwards to a win at Texas. In November of 2016, Reiser was relieved of his duties at Roush Racing. 1986, Richert was the Crew Chief for Neil Bonnett in the #12 Budweiser car, but the pair didn't produce any wins. He looked for work in 1985, and only was a crew chief part time from 1986-1990. He headed up the teams of Phil Parsons (1993), and Joe Nemechek (1994). In 1995, he led Ron Hornaday in the Truck series in 1995 to six wins, and third in the points. 1996-2000 saw him again as a part time crew chief swapping from the Xfinity to CUP series. In 2003, Richert assume the crew chief duties from Randy Goss for driver Greg Biffle. The two stayed together for three more seasons, and produced ten wins. 2005 saw them win six times and finish second in the points. 2007-2011 saw Richert as a part time crew chief once again with drivers such as Brian Vickers, Regan Smith, Todd Bodine, Robbie Gordon among others. None of these efforts produced any wins. In 2012, he returned full time leading up the BK Racing team and driver Landon Cassill. 2013 saw him finish out the season as crew chief for David Reutimann after Pat Tryson was let go. The following season he led the efforts of a part-time entry for BK Racing. Various drivers raced the car for 12 events; but none of them were able to finish in the Top 10. BK Racing hired driver Matt DiBenedetto to drive for them in 2015 and paired him with Richert. They did not qualify for two races and had a season best finish of 18th. In 2016 Richert was promoted to Director of Research and Development. During 2016 and 2017 he often served as a crew chief also for a rotating group of drivers that included Joey Gase, Gray Gaulding, Corey LaJoie, Stephen Leicht, Brett Moffitt and Ryan Sieg. After seven seasons with BK Racing as a crew chief and Director of Research and Development, Richert announced he was leaving the organization. "I love the sport of motor racing," Richert told Motorsport.com. "It's all I've done my entire life. But the time had come to move on. For his career Richert has 13 Cup series wins. Three wins with with Dale Earnhardt Sr along with the 1980 Cup series Championship; - and the rest with Greg Biffle; where he captured back to back Southern 500 wins. It is believed Richert is the youngest crew chief to even lead his driver to a Cup Championship being only 20 years old at the time. events and claiming five wins. Rogers moved full time to the Cup series in 2010 working for Joe Gibbs Racing (JGR), and his driver Kyle Busch. The pair had a successful first season visiting victory lane three times. The following year saw them capture the checkered hankie four times and have 14 Top 5 finishes. Busch missed one race relegating him to 12th in points. Rogers remained Busch’s lead wrench through 2014. During that span they claimed a win in 2012 and 2014 and had four wins in 2013 and finished fourth best in the points. In 2015 Rogers was moved to work with Denny Hamlin and he grabbed two wins. In 2016 Rogers was moved to work with yet another Joe Gibbs drivers. This time he was paired up with Carl Edwards. They won three races that season and was in contention for the Cup Championship in Homestead. Racing for the lead late in the race, Edwards tangled with another car and was out of the race. He finished fourth in points; and then he surprised everyone and retired from racing. After Edwards retired, Rogers became the crew chief for Daniel Suárez in the #19 team. 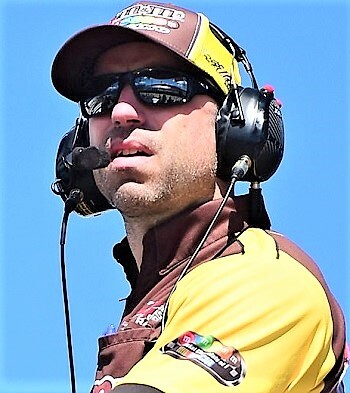 On March 29, 2017, it was announced that Rogers would be taking an indefinite personal leave of absence, with Scott Graves serving as crew chief of the #19 team. 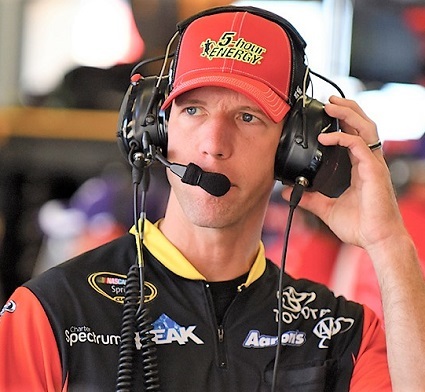 In June, JGR announced that Rogers would become the Technical Director for JGR's Xfinity Series teams. On October 9th, 2018, effective immediately, Rogers, is to return as crew chief to the No. 19 driven by Daniel Suarez for the last 6 races. Scott Graves, the now ex-chew chief for the No. 19 is to leave Joe Gibbs Racing; since Martin Truex is moving over to drive the #19 car and bringing his crew cheif Cole Pern with him. For his career Rogers owns 20 Xfinity series wins; and also has 18 Cup Series victories. crew chief Kevin Buskirk with 13 races to go in the season. They managed to post two Top 10 finishes before the season ended. He started out again with Elliott the following season; but was released 18 races into the season. Rogers moved to Levine Family Racing in 2011 and worked with David Starr. They attempted eight races; and did not qualify for four of them. Scott Speed was brought in to drive the following season part time. He made 15 starts and had a best finish of 17th. Speed ran 12 races in 2013; while Reed Sorenson would run six and Scott Riggs ran once. Speed posted the only one Top 10 of the trio of drivers as he finished ninth at Talladega. The following season saw Rogers lead Michael McDowell in 19 events and McDowell posted a season best of seventh at Daytona. In 2015 the duo ran in 11 races but failed to record a Top 10 finish. Then Leavine Family Racing announced that Rogers had been released. The next season Rogers moved to GoFas Racing working for owner Archie St Hilaire. Eight different drivers raced the car that season. None of them would claim a Top 10 finish. 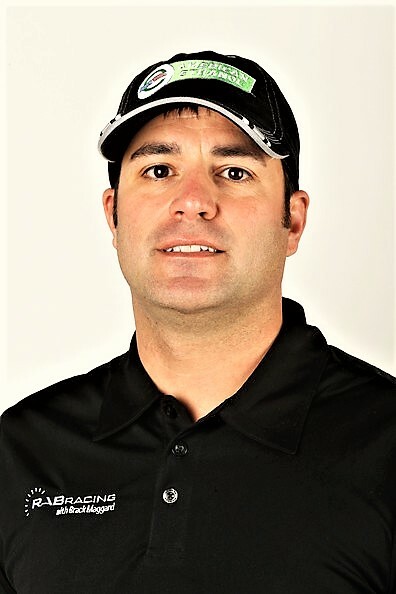 In 2017, Rogers was hired by Mark Smith to work with driver JJ Yeley full time in the Xfinity series. He posted a best finish of 6th that season but had 10 finishes inside the Top 15. Rogers has not announced any plans for employment for 2018. For his career Rogers, had six Xfinity series wins. Two with Lajoie, two with Greg Biffle, and one each with Bobby Labonte and Tony Stewart. On the Cup side, his luck was much worse. He spent most of his career working for under-funded teams. He wasn’t able to get a win; nor any Top 5 finishes. He also did have the lone Truck Series win with Hornaday in 2005.
to the competition director position. Since Rondeau has held this position their driver Martin Truex has won 15 races and the 2017 Cup Championship. In 2016 Truex won eight races including the Coke 600 and Southern 500. Rondeau still holds this position as 2018 kicks off. NICK SANDLER - ?/?/? - The Asheville, N.C native joined Roush Fenway Racing in 2006 as a shock specialist working with Boris Said, Todd Kluever and David Ragan. Sandler spent the next six years working with drivers Travis Kvapil (2009), Paul Menard (2009), Matt Kenseth (2011-12) and Carl Edwards (2013-14), as well as working in the Research and Development department. He also worked as team engineer under veteran crew chief Jimmy Fennig for the past four Cup seasons. Sandler contributed to 10 wins including the 2012 Daytona 500 as well as 41 Top 5 and 60 Top 10 finishes with past champions Matt Kenseth and Carl Edwards. Sandler took over the reins of the #17 team in 2015, looking to lead two-time NASCAR Xfinity Series Champion Ricky Stenhouse Jr. to his first career NASCAR Cup Series victory. The duo stayed together for two season and saw Stenhouse post five Top 5 finishes, with a best of sec ond at Bristol. 2017 saw Roush Racing contract back to a two car operation. The company made wholesale changes across the board. Kevin Kidd was named the team’s competition director and Tommy Wheeler served as the team’s operations director. 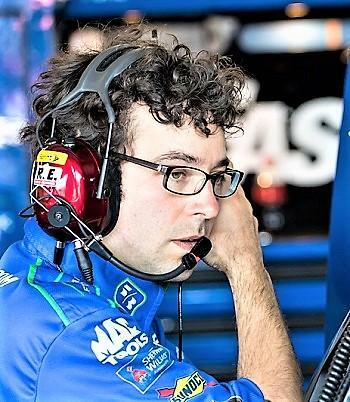 Nick Sandler, who was Stenhouse’s crew chief the past two seasons, has named RFR’s director of engineering. The changes worked as Stenhouse won two times, the teams first wins since 2014.
years later, he became Brian Vickers’ crew chief. They posted three Top 5 finishes including a second in the July race at Datona. 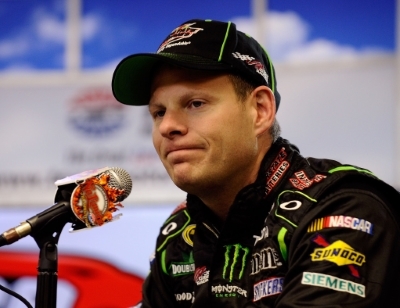 MWR was in turmoil in 2015 and Scott led five different drivers that season Clint Bowyer ran the most races and claimed the only Top 5 finish, grabbing a fourth place finish at Talladega. At the end of 2015 Michael Waltrip Racing closed it's doors and Scott was left looking for a job. He ended up at Stewart Haas Racing working with Danica Patrick. she had a best finish of eleventh and had 13 Top 20 finishes. It seems she often ended up around 20th to 25th. As she had 29 finishes inside the Top 25 in 36 starts. The dup looked to improve the next season, and she did post a season best 10th at Dover; but overall her results were pretty much the same. At the end of the season Patrick retired from full time racing and for 2018 Scott was paired with Kurt Busch. Busch gave Scott his first win as a crew chief at Bristol in August. They made the Chase and had a good shot to make it to the season finale' at HOmestead. The race at Phoenix saw Busch get into a dust up with Denny Hamlin and end their play off hopes. They ended up seventh in the season points. Earnhardt set a NASCAR modern era record of four consecutive wins and won five of the first seven races. In the 1987 season, Earnhardt earned the nickname "The Intimidator", and his final season for the blue and yellow Wrangler Jeans sponsorship. Shelmerdine led Earnhardt to three wins in 1988 as Bill Elliott won the title. The following season they would win five times but still only manage a second place finish in points. In 1990 the duo returned to their Championship form as they won nine times and Earnhardt claimed his fourth Cup Title, beating out Mark Martin by 26 points. The 1991 season saw Earnhardt win his fifth Winston Cup championship. This season, he scored four wins and won the championship by 195 points. They could only manage one win and finish 12th in points. In the ten season that Shelmerdine lead Earnhardt, the two amassed 44 wins, and won the Cup championships in 1986, '87, '90 & '91). Notable wins included; Coke 600 (1986 & 1992); Southern 500 (1987, 1989 & 1990). His accomplishments include being one of the youngest crew chiefs to win a NASCAR race, and one of the youngest crew chiefs to win a Cup championship. In 1992, he announced he was retiring from his crew chief duties, and embarked on a racing career on his own to pursue his dream of being a driver. He started running in the ARCA series in 1993 where he has three career wins. Shelmerdine's Cup career actually started in 1981 in a race at College Station at Texas World Speedway. His next start would come at Talladega Superspeedway in 1994 for Jimmy Means. Shelmerdine finished 26th in the #52 Ford. He started his own Cup team in 2002 and ran races at Talladega, Loudon and Pocono, but he was primarily a "field filler" driver. 2004 was a breakout year for Shelmerdine, as he attempted all 36 races as an owner, 32 as a driver. As team owner he had other drivers fill in for him at selected tracks. 2005 was a step back as the team qualified for only three races. He started out 2006 on a better note. He was rolling his car on to his hauler after failing to qualify high enough in his qualifying race for the Daytona 500. A NASCAR official stopped him, and informed him that he qualified for his first Daytona 500 by gaining the final spot with his qualifying speed. He finished in 20th place on the lead lap, the best finish of his Cup career. His performance gained media attention as he said if he did not qualify, he'd sell his race team because he was extremely low on money. He was using a motor from Richard Childress (in exchange for a displaying a sponsorship decal). 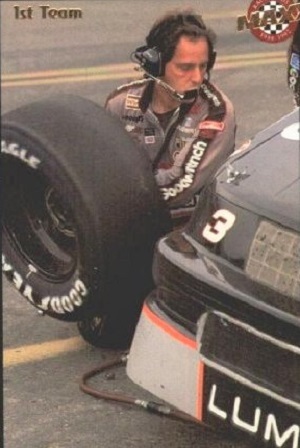 His tires had been donated by a family of Dale Earnhardt fans. He had no full-time pit crew, only his loyal team mates such as Phil Harris, J.V. Daniels and a few others. He raced off and on until 2010 when his folded up his shop and retired. The assets of Kirk Shelmerdine Racing were to be sold at Public Auction at the team's basis in Welcome, North Carolina. Shelmerdine stated the reason for the closure is lack of sponsorship and technology provided for independent teams. Daytona in July. As expected Allmendinger ran well on the road courses. He had one of the cars to beat at Sonoma, but missed a shift and blew his motor. At Watkins Glen his had pit stop sat the wrong time and had to work his way through the field and could only muster a 15th place finish. They only had a total of three Top 10's. With team mate Chris Buescher also struggling; JTG Daugherty Racing decided to swap crew chiefs for the season's final nine races. The results proved to be pretty much the same. Allmendinger was released by the team and Rookie Ryan Preece will wheel the #47 in 2017 with Smith at the helm. Allmendinger is going into TV broadcasting joining MSNBC as a race analysis and also on MSNBC's daily show NASCAR America. came calling again in 2005. That season, Joe Gibbs Racing (JGR) was undergoing an expansion from a two-car team with the #18 and #20 cars to a third team with the #11 car with Jason Leffler. It was looking for race engineers, where he landed with the #20 car driven by former JGR driver Tony Stewart and crew chief Greg Zipadelli. After serving as race engineer with Zipadelli and Stewart from 2005 to 2008 – a stint that included 18 wins and a Cup championship in 2005, Stewart left the team after the 2008 season to become a team owner at Stewart-Haas Racing. This gave Stevens the opportunity to work with rookie driver Joey Logano as his team engineer, with Zipadelli remaining as crew chief for the 2009 and 2010 seasons. Another big break would come for Stevens at the end of the 2010 season as the JGR Xfinity Series shop underwent an expansion from two to three cars. Stevens was named crew chief in January 2011 for JGR’s new #20 Xfinity team, for which Logano was the primary driver with a few others taking turns behind the wheel throughout like Denny Hamlin, Michael McDowell and others. While Stevens and Logano got off to a slow start in 2011, recording just one win, they reeled off nine wins the following year in 2012. But change was on the horizon at JGR once again the following year. Matt Kenseth joined in 2013 to drive the #20 Toyota while Logano departed to the #22 team at Penske Racing, setting up another crew chief change for the JGR Xfinity program. Busch had raced for his own Kyle Busch Motorsports team in a select number of Xfinity races in 2012 but decided to move his #54 ride back to JGR starting in 2013. With the move, JGR decided to pair Stevens with Busch. It paid dividends right away as the pair won 12 times in 2013. They added seven additional wins the following season. In 2015 Stevens was paired with Busch in the Cup series. Busch would get injured in the season opening Xfinity race at Daytona and miss the seasons first nine Cup races. When able to return to competition, Busch came back with a vengeance. They won five times in the final 25 races; including the Brickyard 400; When he won the season ending race at Homestead, Busch and Stevens would claim their first Cup Championship. The pair produced four more wins in 2016 and 17 Top 5’s. They once again made it to the final race at Homestead to compete for the Championship; but a late race gamble by Chad Knaus saw Jimmie Johnson win the race and Busch finished third in the points. They continued their great performances in 2017 while on the strength of five wins; Busch again found himself in the hunt for the Championship at Homestead. Martin Truex proved to strong for Busch as Truex would win the race beating Busch by 6/10 of a second, to win the race and the Championship. Stevens remained with Kyle Busch for the 2018 season. The duo were part of "the big three" race teams who won 20 of the seasons 36 events. Busch won eight times in 2018; including the Coke 600 in May. They easily made it through each round of the play offs, but Busch would only finish fourth at Homestead in the hunt for the Championship. The pair is expected to be together again for 2019.
couple of weeks later and said they wanted me to do a two-week trial period at their shop. By the fourth day they hired me and put me up in a hotel for a month and a half until I got enough money together to get my own apartment.” Stockman spent four years working with the Gaughan family at Orleans Racing, starting there as a floor sweeper and by the end of his time there he was a car chief making a good living. In 2011, Stockman went to work with Richard Childress Racing to lead the efforts of Childress' grandson Austin Dillon in the NASCAR Truck Series. The duo produced success as Dillon got two wins along with ten top fives and would claim the 2011 Truck Championship. The duo also made their first Cup start in 2011 as Dillon made at start in Kansas, where he started and finished 26th. 2012 saw Stockman and Dillon move full time to the Xfinity Series. They posted two wins once again and had 15 top five finishes. Even with a good season they only finished third in points as Ricky Stenhouse claimed the Championship. 2013 they went winless; but with only one finish worse than 21st and 13 top fives finishes he had a shot to win the Championship. A strong run the seven races before Homestead found him in the points lead. He only had to finish close to Sam Hornich to get the Championship. Hornish finished the race in eighth while Dillon came home twelveth to win the Championship by three points. Austin moved up to run full time in the Cup series in 2014; and Stockman took over calling the shots for Austins brother TY full time in the Xfinity series. Ty won once and would finish fifth in points. in 2015 RCR would field two teams in the Xfinity series with Stockman leading the efforts of four different drivers. Austin drove nine races; and he got two wins with Stockman. Paul Menard would add another visit to victory circle with Stockman. 2016 saw Stockman head up the efforts of the #2 car than again had four different drivers at the controls. Only Austin Dillon was able to post a win in the cars 19 starts. Danila Hemric was hired to drive full time for RCR in the Xfinity series. Hemric was a great talent in the Super Late Model series and showed lots of promise. The pair didn't claim a win but ran up front a lot and posted a second place finish at Mid-Ohio. Even without a win he made the Chase and was in the hunt for the Championship when the series went to Homestead. Hemric had a rough night and ended up fourth in the points. The dup paired up again for 2018 and again went winless; finishing second four times. They even had half of their season's race finishes inside the top five. and 22 of 32 inside the top ten. Again they were at Homestead with a shot at winning the Championship. Hemric was unable to keep pace with eventual Champion Tyler Reddick and finished third in the points. For 2019 Stockman will move to the Cup series full time, and once again be paired up with Austin Dillon. Hemric is also moving to the Cup Series and will have Luke Lambert calling the shots. thefollowing season including another Coke 600 victory. 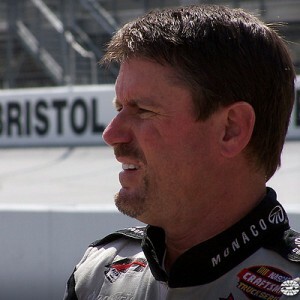 After 25 events in 2002, Stoddard left Roush Racing to go to Bill Davis and crew chief for Jeff's brother Ward Burton. The new pairing only produced four top ten finishes in 2003, with Davis moving Stoddard over to his team driver Scott Wimmer to finish out the season. Wimmer / Stoddard produced a single top five finish in 2004. For the next several year Stoddard only was head man a couple times per season for various drivers. In 2010 Stoddard went to work for Bob Jenkins with a long list of drivers that season and Boris Said was the only driver able to post a Top 10 result. In 2011 Stoddard formed his own team announcing the formation of FAS Lane Racing. The team fielded the #32 with Ford as the manufacturer, and cars from Roush Fenway Racing and Richard Petty Motorsports while Doug Yates supplied the engines. U.S. Chrome sponsored the team at Daytona with Terry Labonte driving, a move that guaranteed the #32 an entry into the Daytona 500, since Labonte was the most recent former champion in a team not in the Top 35 owner's points. The team ran the full season with a variety of drivers including Ken Schrader, Said and Mike Skinner. The team finished 34th in owner's points. In 2012 and 2013 things were the same. For the most part the team functioned as a start-n-park team whose objective to to qualify for the race, start, and then a few laps into the race park and collect the purse. Many teams do this to stay visible to sponsors in hopes of picking up a major sponsor so they can race full time. FAS Lane Racing merged with Go Green Racing for the 2014 season, forming GoFAS Racing. Stoddard was not involved in the ownership of the team. However, Stoddard remained on the team as a consultant. Trysons first win as a crew chief. 2002 the team struggled; again only posting two Top 5 finishes. He was paired with driver Ricky Rudd in 2003 with much the same results. In 2004 he returned to Roush Fenway Racing as the crew chief for Mark Martin. He was able to become one of three other crew chiefs to make the Chase for the Cup in its first three seasons. Martin won once in 2004 and again in 2005. He finished fourth in the points in 2004 and 2005. 2007 saw Tryson kick off the season with Roush driver Greg Biffle. After 12 races Tryson was released and immediately moved to owner Roger Penske, working with Kurt Busch. Busch won twice before the season ended. He remained with Busch the following two seasons; winning once in 2008 and twice in 2009. He finished fourth in the points that year. Tryson went to work for Michael Waltrip Racing heading up the efforts of Martin Truex. They posted one Top 5 finish. After 14 races in 2011 Tryson was replaced by crew chief Chad Johnson. He moved to JTG-Daugherty Racing as a consultant. In 2012, Tryson started the season as crew chief for David Gilliland at Front Row Motorsports. In October 2012 Tryson joined BK Racing, serving as crew chief for the team's #93 car and driver Travis Kvapil. In 2014, Tryson joined Turner Scott Motorsports in the Xfinity Series as crew chief for rookie Dylan Kwasniewski. Tryson was replaced by Shannon Rursch in July. Tryson was picked up by Curtis Key's 'The Motorsports Group' to be crew chief of the #30 car driven by Ron Hornaday Jr.. After not qualifying for three of their attempted seven races, both Hornaday and Tryson were released from the team. Tryson was picked up by BK Racing to crew chief the team of Alex Kennedy. After Sonoma he was released and joined the #55 team of Premium Motorsports and their driver Reed Sorenson. He returned to TMG, now known as Circle Sport – The Motorsports Group, to serve as crew chief of the #33, driven by Jeffery Earnhardt. After 15 races in the season, Tryson departed Circle Sport and went to work once again for Jay Robinson; owner of Premium Motorsports where he called the shots for team cars that only raced part time. 2018 sees Tryson still at Premium Motorsports working with various drivers The owner has decided to also hire Todd Parrott as a crew chief. The two with call the shots on a rotating basis. Premium Motorsports, claimed the move was for two reasons: (1) so the team can be more prepared upon showing up to the track on a weekly basis and (2) so each crew chief won't get worn out by the grind of the long NASCAR Cup Series schedule. season, Wheeler shepherded Hamlin to a win in the 2016 Daytona 500. They would claim two additional wins that season and finish sixth in points. 2017 saw Hamlin win twice and again finish sixth in points. Hamlin and Wheeler got off to a good start in 2018. The first five races they had a worst finish of 17th; with the other finishes all being inside the top six. Overall Hamlin didn't have a bad season posting ten Top 5's and 17 Top 10's. The major disappointment was that for the first time in his career, he failed to win a race in a season where he competed full time. He finished second two times; and made the Chase. He was eliminated after the first round of the Chase. For 2019 Wheeler is going to the Leavine Family Racing team to lead driver Matt DiBenedetto. Wallace at the car's controls. They would post seven Top 7 finishes along with 17 Top 10’s; adding three second place finishes. He led Wallace for two season, but did not produce any wins. Wilburn left as one of the organization’s most successful employees at the end of 2004. 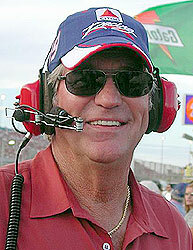 In 2005 Wilburn was appointed the crew chief of the #88 Robert Yates Racing Ford team with driver Dale Jarrett. This was for 16 races in the middle of the season and they had two Top 5 finishes. Clay Andrews hired Wilburn for head up his team that raced part time Xfinity team with driver David Gilliland. The claimed an upset win at Kentucky; the only win for either of them. Wilburn was hired by Petty Enterprises late in the 2006 season and called back up to the Cup series. He and Petty formed a stout combination at the end of the 2006 season. Wilburn led Petty through the rest of the season that culminated with a remarkable run back inside the top-35 in owner points. 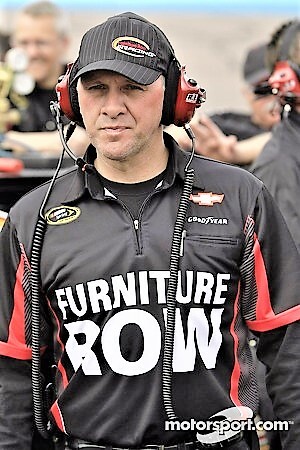 From 2008 through 2011 Wilburn spent his time in all three of NASCAR's upper series being the crew chief for several different drivers seeing action mostly in the Xfinity and Truck series. 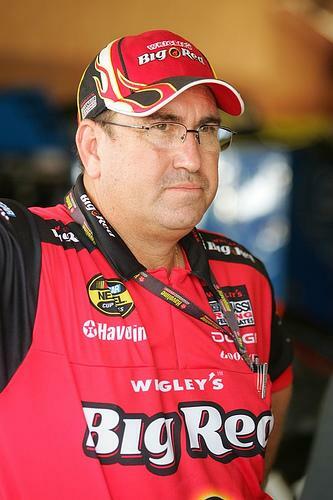 Wilburn was hired by Kevin Harvick in 2009 to lead a part time team in the truck series. Ricky Carmichael was able to post one Top 10 finish as a high point. Todd Braun hired Wilburn in 2010 to make the calls for his driver Brian Scott. They had one Top 5 and five Top 10 finishes before being replaced by Crew chief Jeff Stankiewicz. The following season Wilburn was picked up by owner / driver Joe Nemechek to replace crew chief Steven Gray. They were able to get one Top 10 finish. Wilburn had been with Hendrick Motorsports previously and got the opportunity to get back to HMS by working with Chase Elliott when they took the K&N stuff he was running back in-house. JR Motorsports (owned by Dale Earnhardt Jr) works closely with Rick Hendrick (owner of HMS) in their race operations. In 2014 Wilburn went to JR Motorsports, as the car chief on Regan Smith’s No. 7 Chevrolet for the Earnhardt-owned team. Crew chief Jason Burdett calls the shots, but Billy makes them happen. 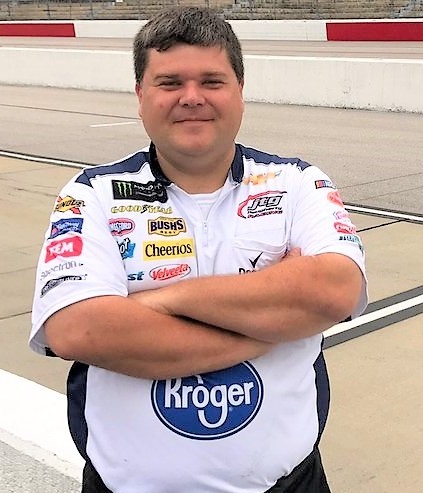 Since Wilburn has been car chief at Jr Motorsports the teams have won two Xfinity series Championships (2014 with Chase Elliott and 2017 with William Byron); finished second in the Xfinity series points (2015, 2016, and 2017); and finished third in points (2016 and 2017). They have garnered 26 Xfinity wins as 2018 kicks off. SHANE WILSON – 11/3/1968 - Wilson began his career in Vermont, building race cars before earning a driver's license. In 1988, he won a local touring division championship along with Brian Kenyon. In 1989, Wilson joined Alsup Racing of the American Canadian Tour as a mechanic for Mike Bachelor. Four years later, Wilson joined the NASCAR All-Pro Series and subsequently worked with Hendrick Motorsports in the Craftsman Truck Series. In 2000, Wilson joined Orleans Racing as the crew chief and general manager for Brendan Gaughan, and won two K&N Pro Series West titles. 2002 saw Gaughan and Wilson go full time NASCAR racing. They ran the full schedule and won twice. 2003 was an even better season as they claimed six wins and finished fourth in the points. The following year the pair made the big step up to the Cup series driving for Penske Racing. In 36 starts they only finished inside the Top 5 once. In 2005 Gaughan was replaced by Travis Kvapil and they did no better; only finishing in the Top 10 twice. As 2006 rolled in Wilson was hired by Richard Childress Racing to work with Kevin Harvick in the Xfinity series. They visited victory lane eight times and won the Xfinity Championship. They posted 24 Top 10’s in 26 races. In 2007 Childress fielded a car and split the driving duties among various drivers. Kevin Harvick ran the most races (14) and won six races. The other five drivers only finished inside the Top 5 three times. The following year RCR employed the same strategy, but without Harvick on the drivers roster. The four drivers failed to post a win and only had three Top 5 finishes. driver. In 2009 Wingo left Ganassi Racing and was again teamed up with McMurray at Roush racing and the two won at Talladega. He worked with David Ragan before moving to the Wood Brothers in 2011. Due to limited funds and being a single car team, the Wood Brother had run just on the tracks where they thought they could be competitive. In 2011, in a huge upset, Wingo and driver Trevor Bayne pulled off a win in the Daytona 500. The Wood Brothers continued to field a part time ride for Bayne with Wingo at the helm. During those three years they were only able to post two Top 10 finishes. Wingo was hired by Bob Jenkins who owns Front Row Motorsports to work with his driver David Gilliland. They failed to post any Top 10 finished; and Jenkins moved Wingo over to work with his other driver Landon Cassill for the following season. That pairing didn’t produce any results either. After 17 races in the 2017 season Wingo was replaced by Seth Barbour. Wingo was promoted to competition director for Front Row Motorsports at that time. To date Wingo has seven wins, with he win with Bayne in the Daytona 500 being the biggest. Cup Division. In 2008, Wolfe worked with Braun Racing as crew chief of the #38 Toyota driven by Jason Leffler in the NASCAR Xfinity Series with little results. In 2009, Wolfe worked as crew chief for CJM Racing and owner Bryan Mullet while Mike Bliss was driving CJM's #11 car; also with no results. Finally in 2010 Wolfe was hired by an upper echelon team as Roger Penske called upon him to lead driver Brad Keselowski in the Xfinity series full time. Keselowski and Wolfe showed great chemistry as they won six races that year and then the Xfinity series Championship. After such a successful season in the Xfinity series Penske moved the pairing of Keselowski and Wolfe up to the Cup series. Their first year at the premier level; they won three times and posted 10 Top 5 finishes. The following year they reached the pinnacle of their sport. They claimed five wins and beat Clint Bowyer by 39 points to win the Cup series championship. Wolfe is sort of known as a 'river boat gambler'. He likes to do strategy contrary to what most other crew chiefs do; and often is produces wins. 2013 saw them regress a bit as they were only able to get one win; but the next year they were back on track visiting victory lane six times; but finished fifth in points. This paring continues to be productive as they continue to add up wins. They won once in 2015; added four more in 2016 and three more times in 2017. Penske knows a good match when he sees it and is keeping Keselowski and Wolfe together for 2018. Together since 2011, Paul Wolfe and Brad Keselowski continued to post wins. They have posted at least one win every season they have been together. This season they posted good finishes but didn't break into the win column until the 25th race of the season. He won the Southern 500; and followed that up the following week with a win in the Brickyard 400. He posted a third win in a row when he won the next race at Las Vegas. He advanced through round one of the Chase; but after two poor finishes in the second round was eliminated from the Championship hunt. The pair will be back working for Roger Penske in 2019. To this point in his career Wolfe has won 26 races along with the 2012 Championship. He also has seven wins in the Xfinity series; all of those coming with Keselowski. continued to produce multiple wins as he won twice both seasons. In 2005 they upped their game winning five times including a win at the Brickyard 400. They also would claim their second Cup championship. The following year they won five times again, but inconsistent finishes saw them miss the Chase. In 2007 Stewart again would win the Brickyard 400 and an additional two races; and he would finish sixth in the points. 2008 was the final year Stewart and Zipadelli teamed together. The Stewart/Zipadelli combination lasted from 1999-2008. Those ten years produced at least one win every season; and they made the Chase every season - finishing in the top seven in points eight times. They also claimed the Cup championship twice (2002 & 2005) and 33 race wins. In 2009 Stewart joined with Gene Haas to form Stewart-Haas Racing. Zipadelli stayed at Joe Gibbs racing to lead young driver Joey Logano for the next three seasons. Their first year together produced a win and three top five finishes. The next two season they only posted 11 top five finishes. 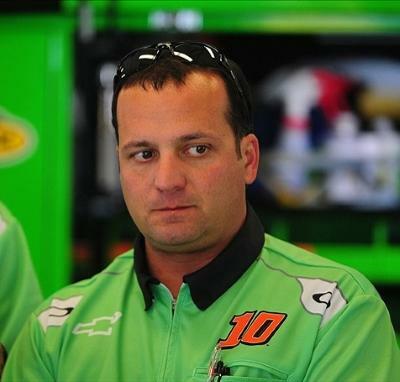 2012 saw Zipadelli leave Gibbs to go to Stewart-Haas racing to be the competition director and oversee Danica Patrick's part time Cup season. He is still currently the competition director at Stewart-Haas Racing. For his career as crew chief, Zipadelli posted 34 career Cup wins; the Brick Yard 400 twice, and the Cup Championship twice. Deloach of Red Horse racing hire Zipadelli to team up with driver Ben Kennedy. Although they didn’t have any wins; they had a successful season finishing ninth in points. As Deloache's funds dwindled; he split the driving duties of one of his race teams among five different drivers. Brett Moffitt won at Michigan in one of his six starts. Moffitt also posted three Top 5’s in those starts. Due to Deloache’s lack of funding he scaled back the size of his race team; and Zipadelli went to work for owner Shigeaki Hattori and his driver Ryan Truex. They ran 23 races in the Truck series and posted eight Top 5 and 13 Top 10 finishes. They also finished the season ninth in points. For 2018 Brett Moffitt was hired by Hattori to drive his truck full time. Moffitt won in just the second race of the year; visiting victory lane at Atlanta. He had three wins before the season was half way over; and kept up that pace scoring three more before the seasons end. Moffitt made it through every round of the Chase and was in contention to win the Championship. However everyone had their money on 2016 Truck series champ Johnny Sauter to grab the crown. Kyle Busch Motorsport driver Noah Gragson was also another one picked to win the Championship. Moffitt ran well toward the end of the second stage and won it. He had a long run truck and he needed a long race run to be in contention. When it came down to it; Sauter's truck was off all night; while Gragson only led 32 laps about mid-way. The last 67 laps were run under green; and when it counted, Moffits long run truck showed it's strength. He led the final 29 laps to win the Truck series Championship. It was also the first championship for Zipadelli and for truck owner Shigeaki Hattori. 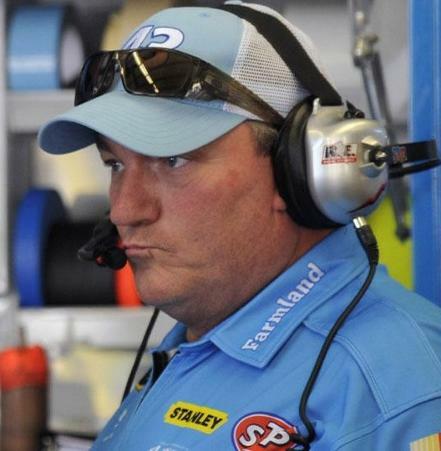 Alas, being a defending truck series champions wasn't enough to see Moffitt keep his job. The team has always struggled finding sponsorship and Hattori found a driver that could bring sponsorship with him for 2019.